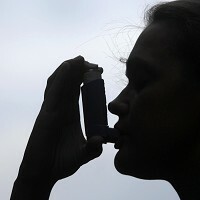 Asthma sufferers travelling to Kampala would do well to take precautions as figures show a surge in the number of respiratory tract infections in the Ugandan capital. Air pollution is being blamed for the soaring number of respiratory problems among the city's residents. Poor air quality can bring on asthma attacks, so at-risk visitors should keep their medication handy and take out medical travel insurance as a precaution. Kampala's Mulago Hospital recorded 2,500 cases of asthma in 2009/2010 alone, compared with 1,899 during the previous two years. According to a World Bank report, the largest source of air pollution in Uganda is vehicle emissions, followed by burning of fuels like firewood and charcoal for domestic purposes. Industrial pollutants are next on the list. These emissions have been linked to the aggravation of respiratory diseases such as asthma and chronic bronchitis by many studies. John C Ssempebwa, the head of Disease Control and Environment Health at Makerere University School of Public Health, said air pollution can cause serious damage to people's health in the long run. Campaigners have urged the government to tackle air pollution by introducing eco-friendly public transport and encouraging people to avoid using vehicles when they can walk or cycle.